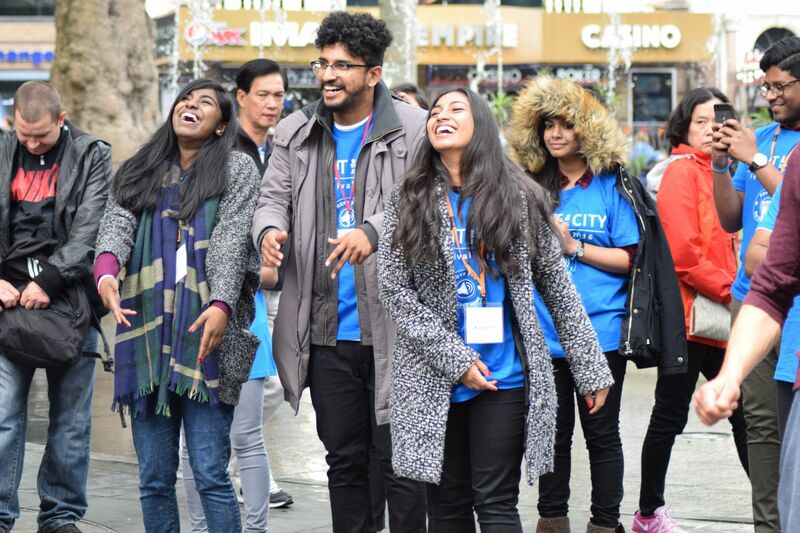 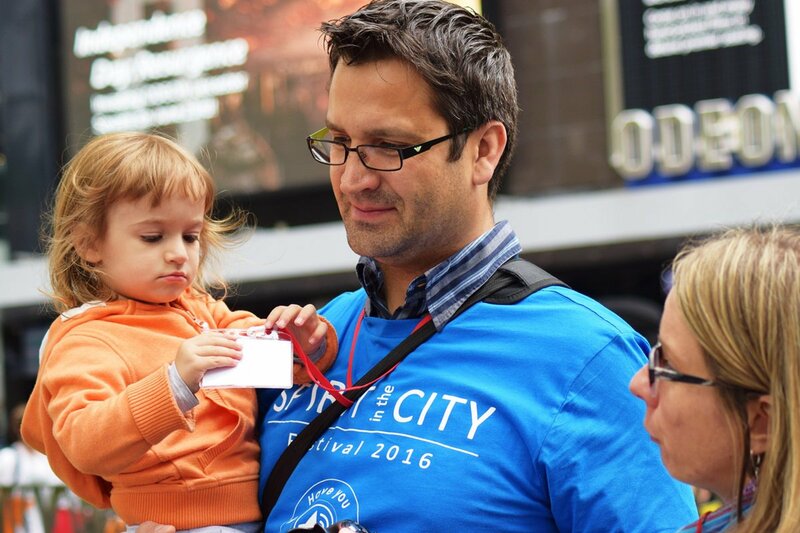 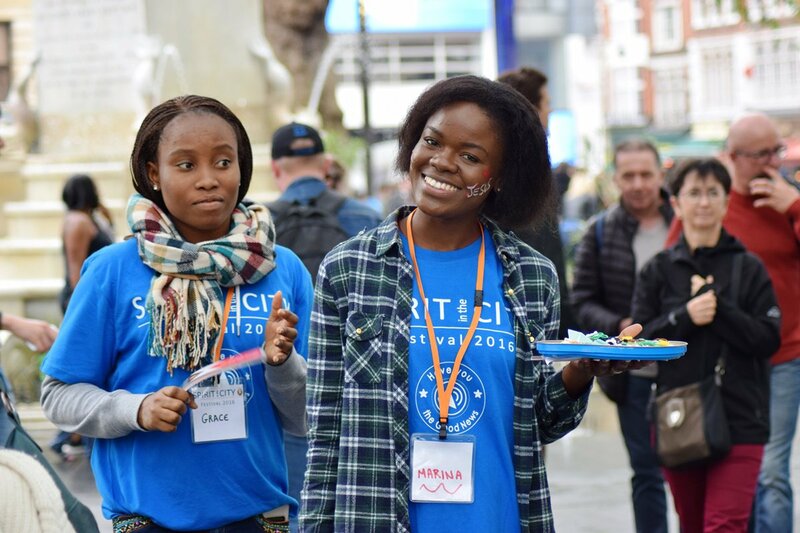 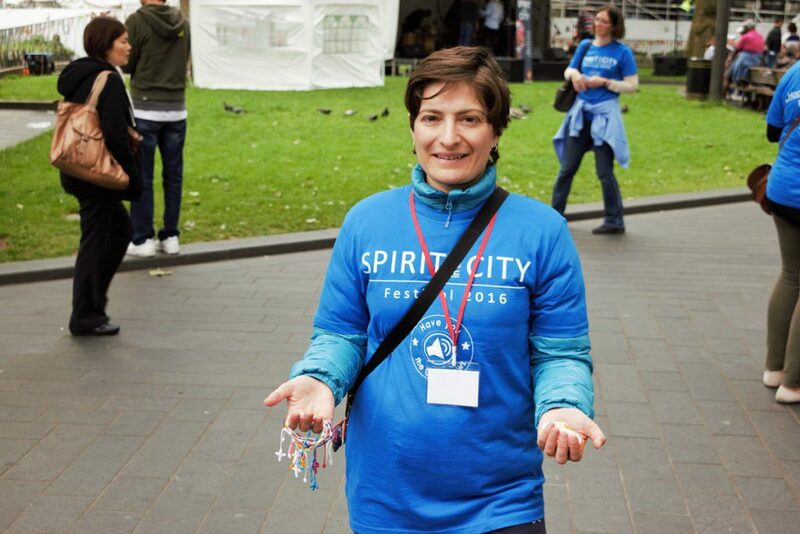 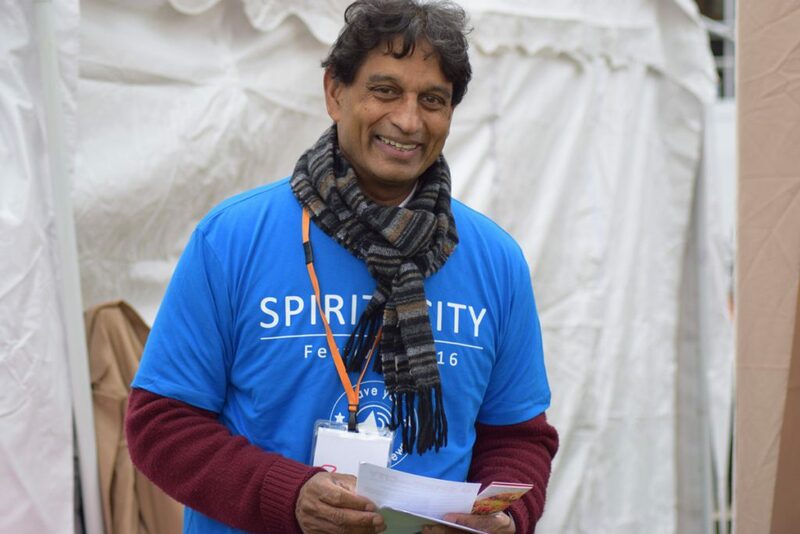 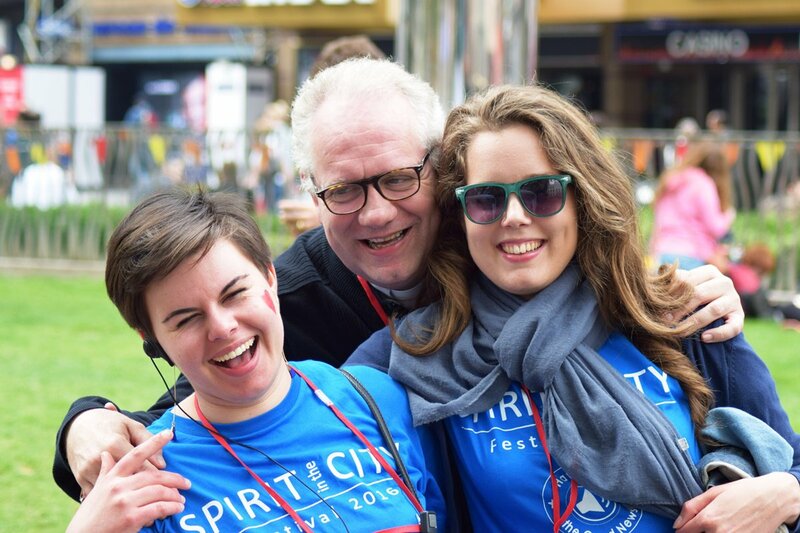 A sold out film premier opened London’s 2016 Spirit in the City; a festival of faith. 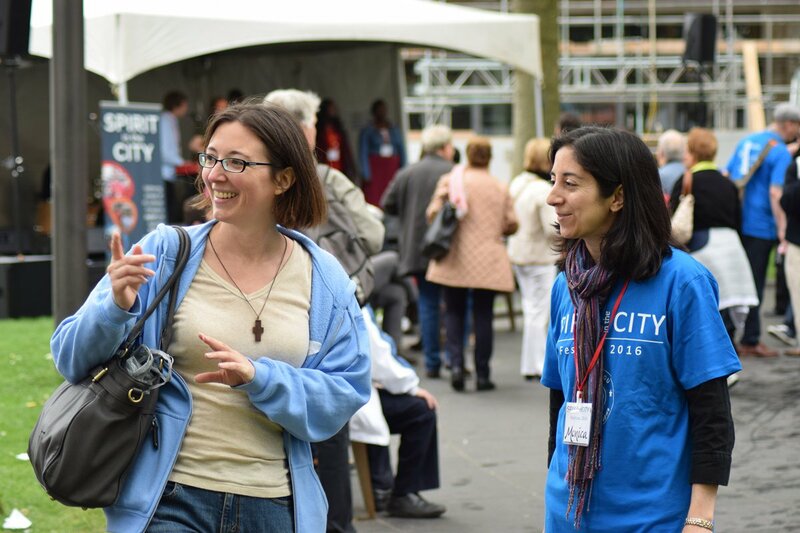 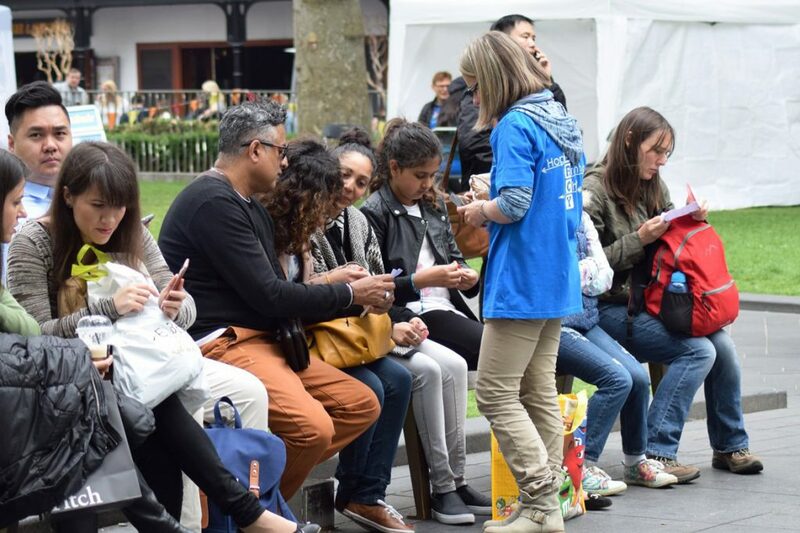 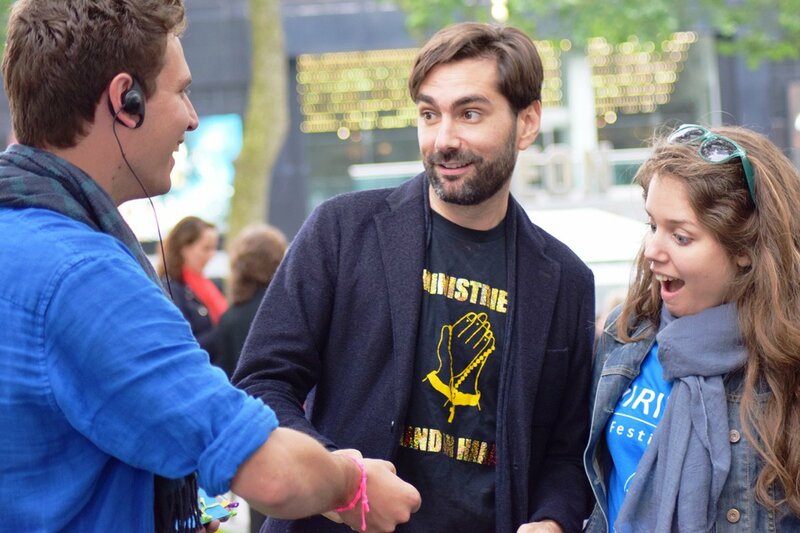 The early-June innovative event was promoted by the Marist inner-city parish, Notre Dame de France, located in the middle of London’s West End. 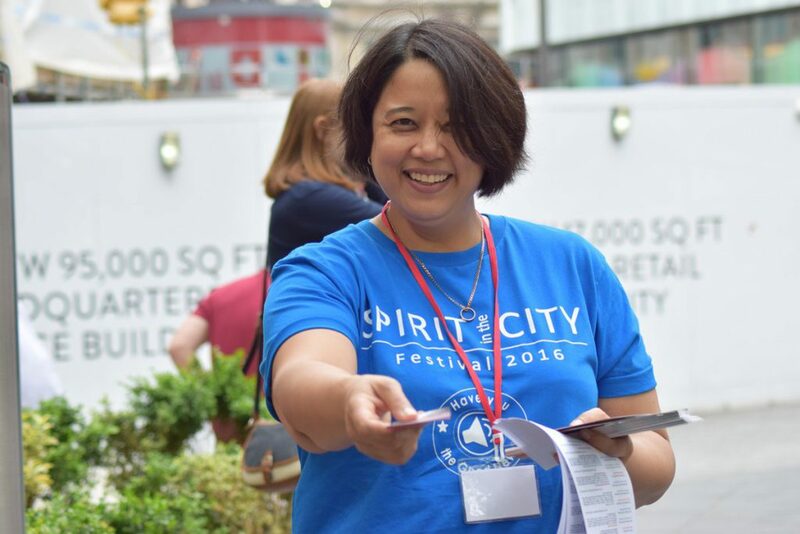 The idea of a film premier came from parish organisers who suggested hiring a local cinema for the UK premier of “Full of Grace“; a story about Mary’s last days on earth. 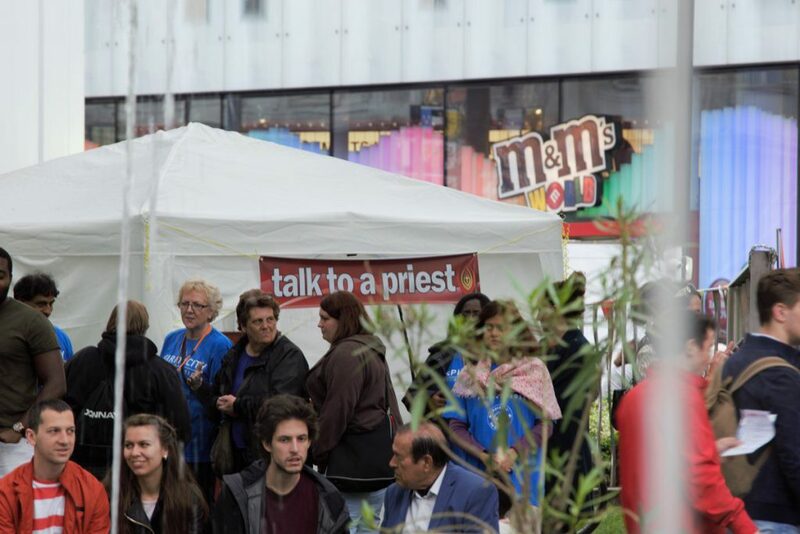 Looking to add further value, the organisers also arranged a panel discussion about the role of Mary, faith and films, art and evangelisation. 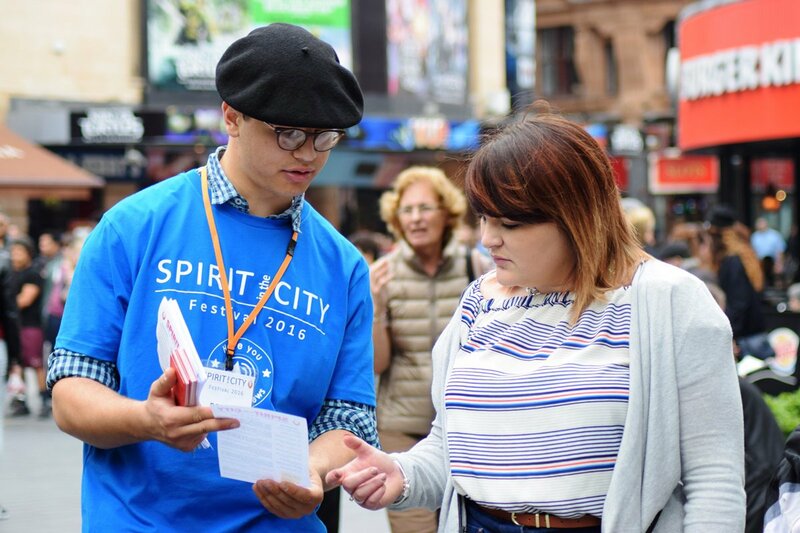 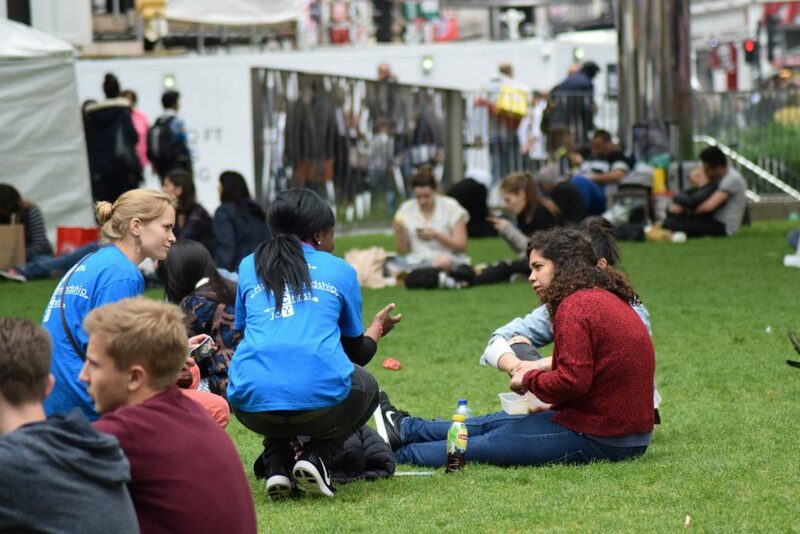 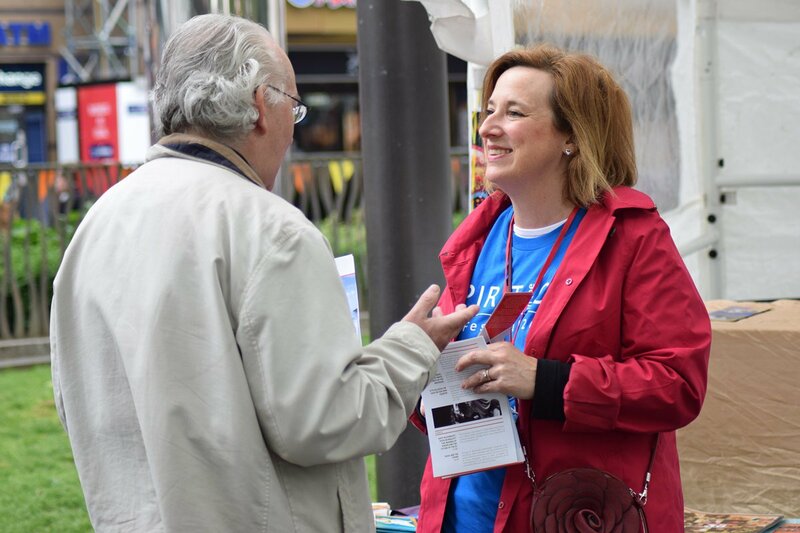 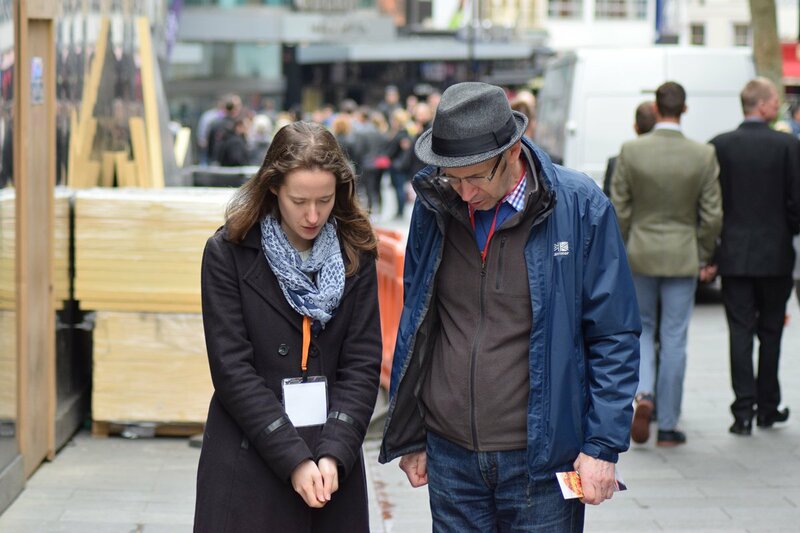 Over the other three days the parish developed the theme of mercy and used the opportunity to engage in street evangelisation. More fun was had on Saturday when a rolling programme of live music on stage was accompanied by workshops and opportunities for prayer and personal encounters. 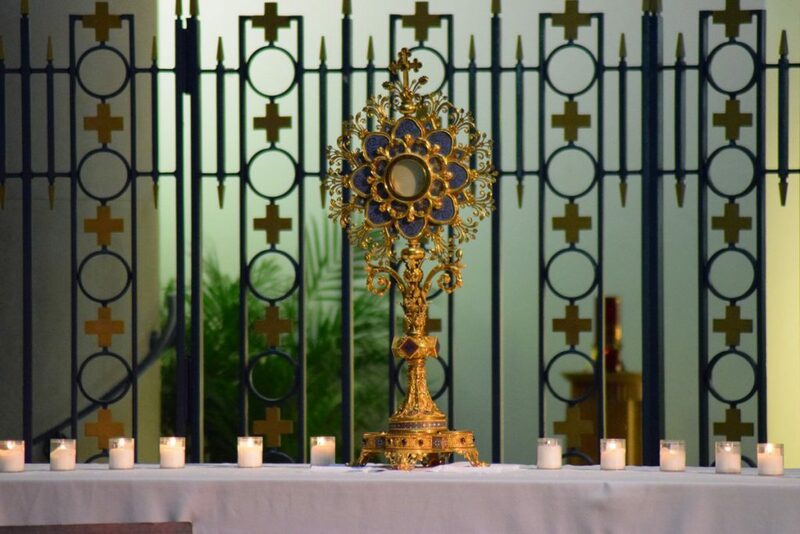 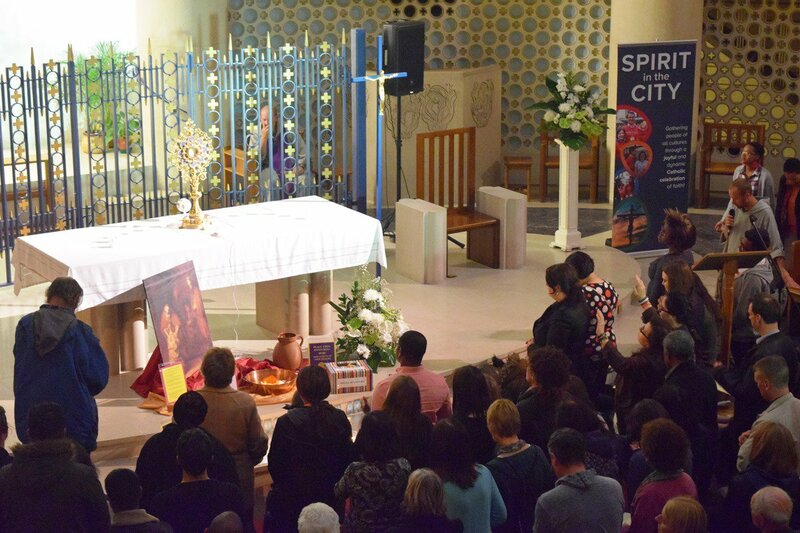 Throughout the Spirit in the City Event people also participated in more traditional Eucharistic adoration and catechesis held in the parish church. 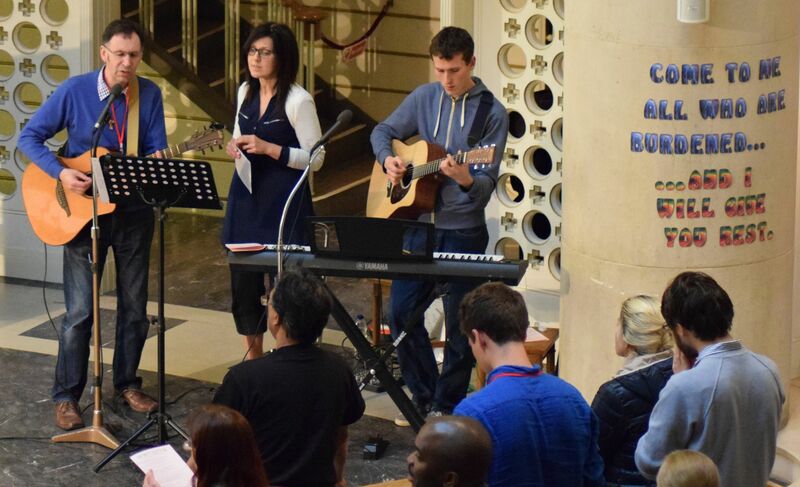 Fr Chris Skinner recently concluded 10 day tour of the Dunedin diocese offering a series of music workshops in parishes and schools. 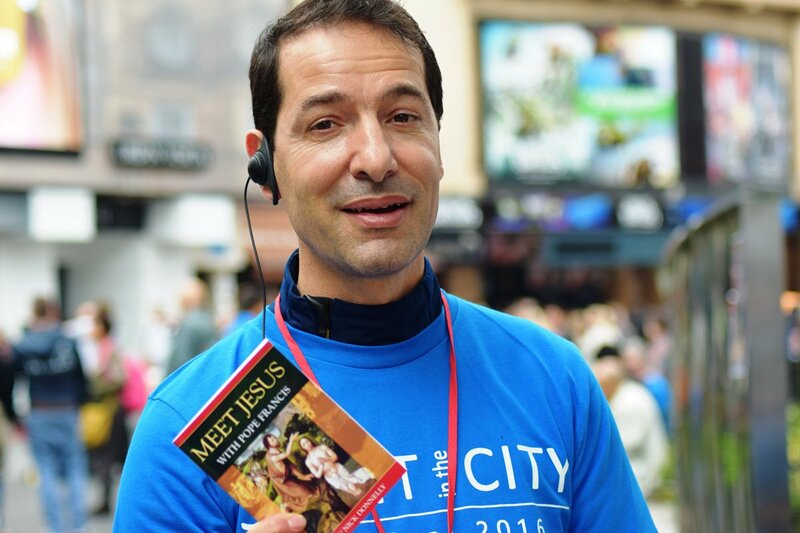 The diocese was keen to promote a number of activities during the Jubilee Year of Mercy, and Chris focussed on a number of his songs with a mercy theme. 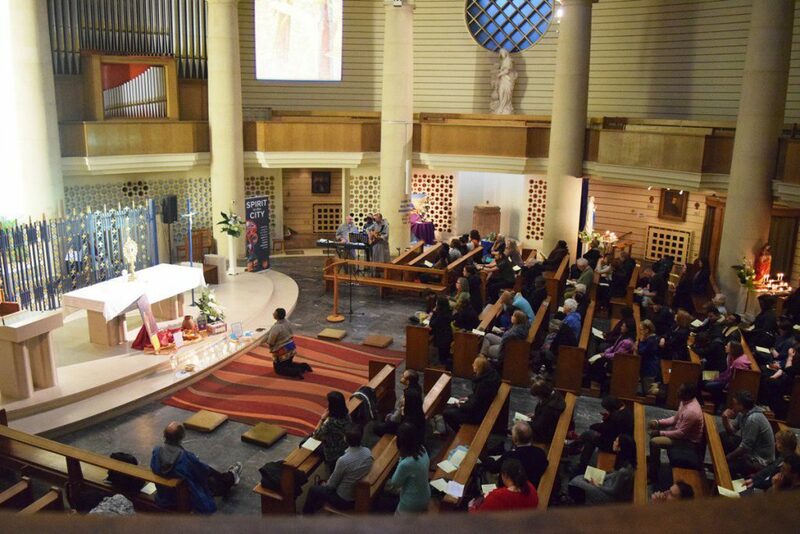 Offering workshops, concerts, he also played at several Masses. On its website the Diocese says he “delighted all ages with his music”. 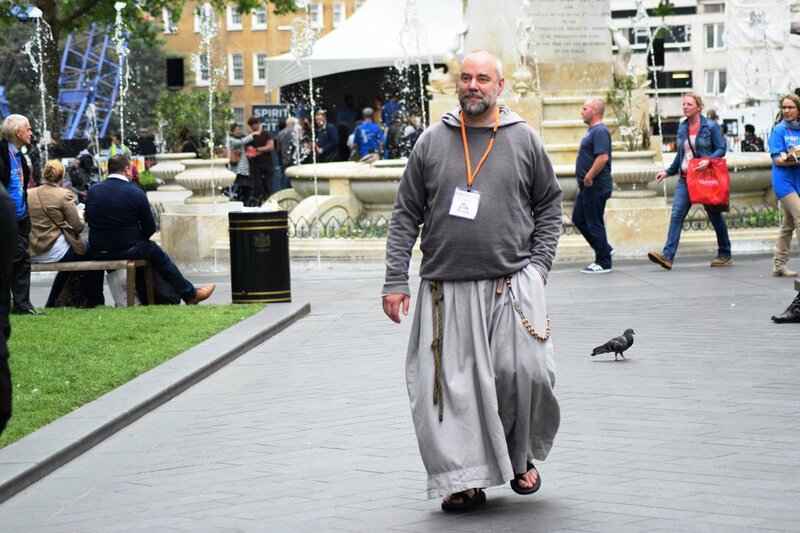 “Throughout all ten days, Fr Chris’s joyful energy remained high, delighting people from ages 2 to 92 with his melodious voice and prayerful presence”, says Amy Armstrong of the Dunedin Diocese in a statement. 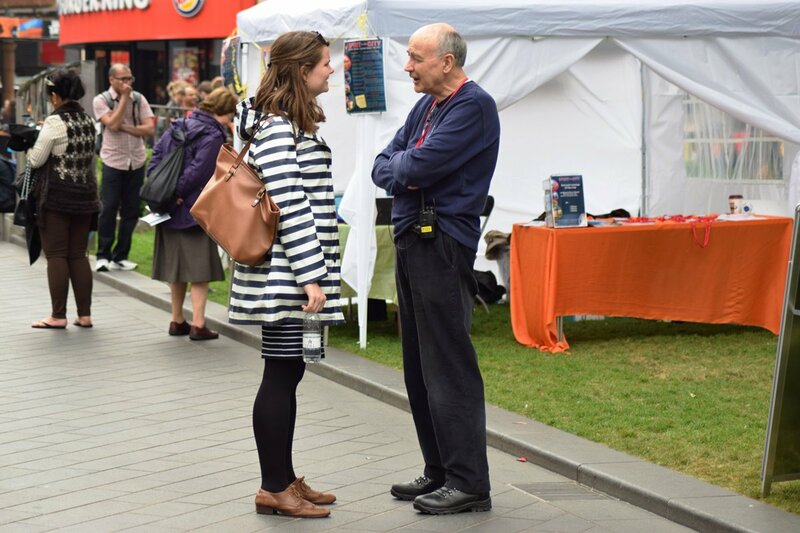 A significant focus of the visit was three workshops in Oamaru, Dunedin and Invercargill where he spent a lot of time teaching parish and school musicians. 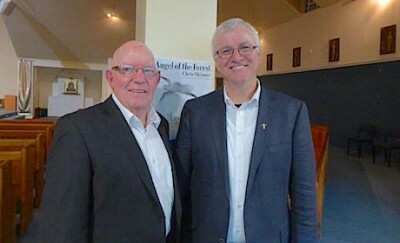 A large crowd attended a concert at St Peter and Paul’s Lower Hutt last Friday to attend the launch of “Angel of the Forest“, a new album by Fr Chris Skinner SM. 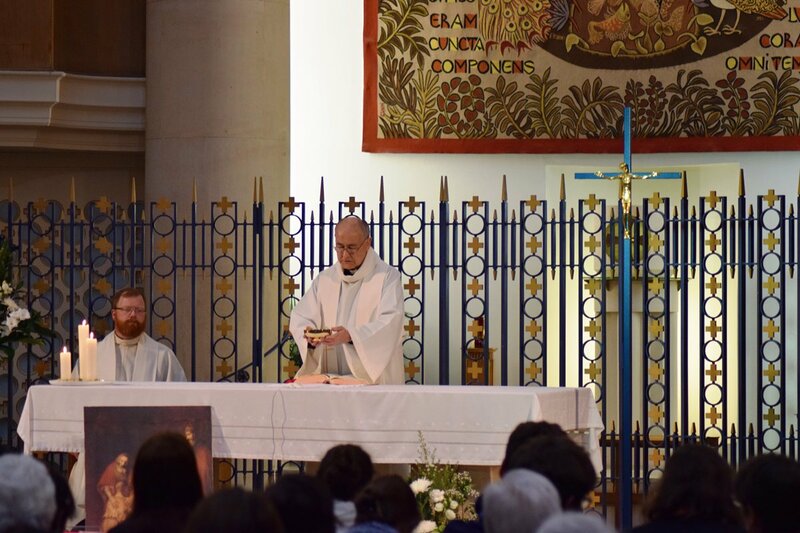 A special feature of the concert was the performance of five songs with lyrics by well known Wellington priest and writer, Fr James Lyons. 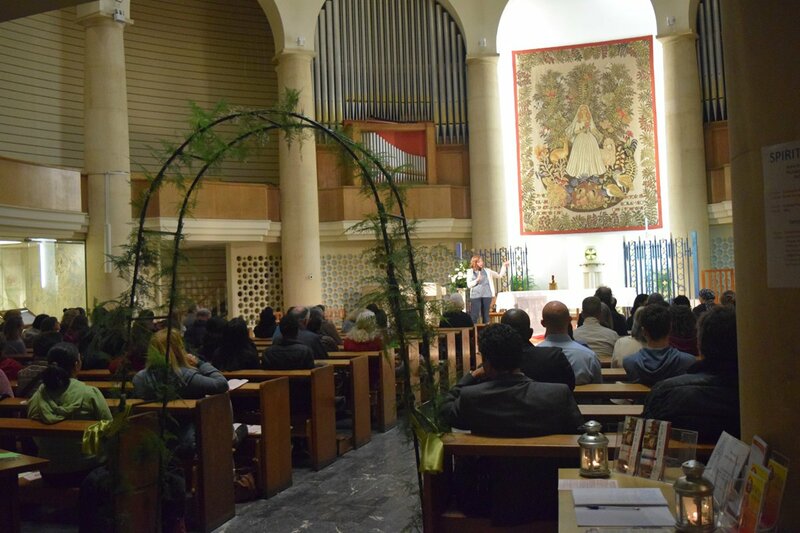 During the concert both artists had time to explain how the words and music came about. 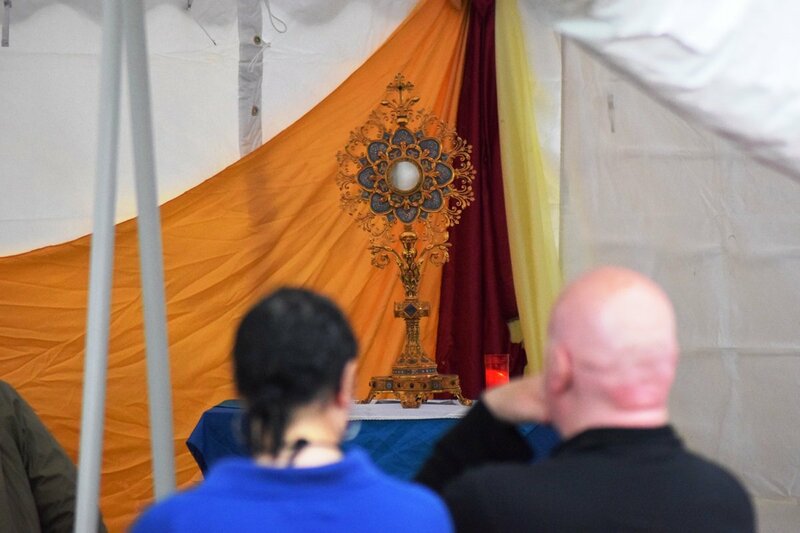 Lyons said that the phrase ‘thieves of innocence’ compelled him as he wrote “Mother of Mercy”; saying the song carried a message about how sorrow and pain might be met by compassion and mercy. 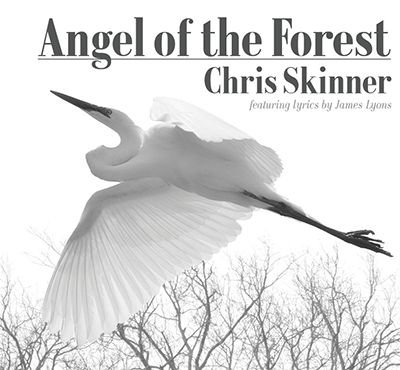 Skinner says the album contains some very moving songs and some lively upbeat compositions. 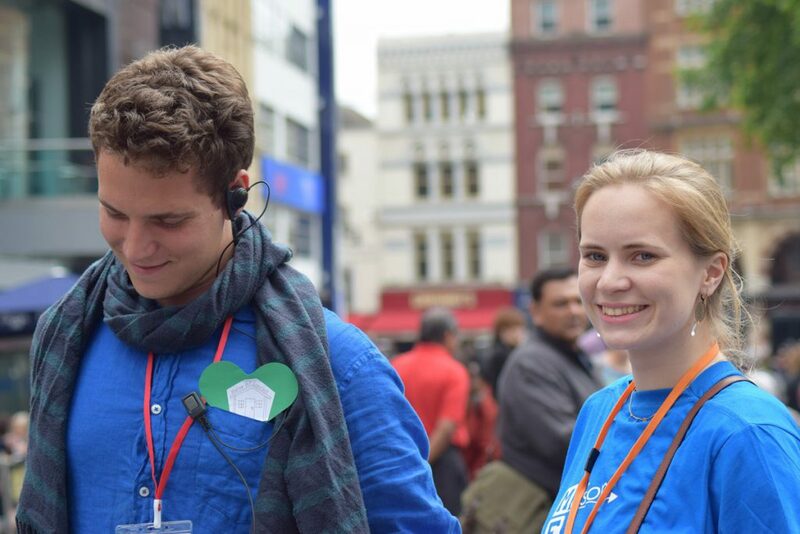 “This is truly something quite different given the collaboration that has taken place and the arrangements have a real celtic flavour,” he says. 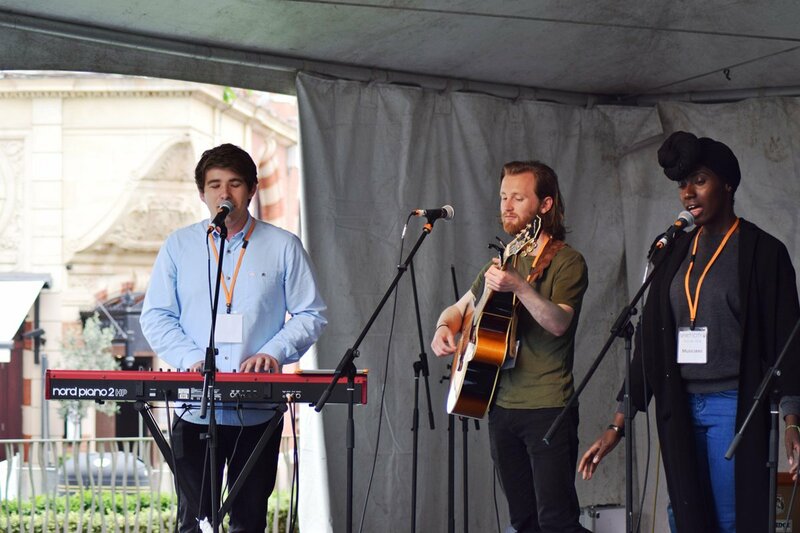 The last song from the album was Mum and Dad which Chris wrote after looking at his parents’ wedding photograph. 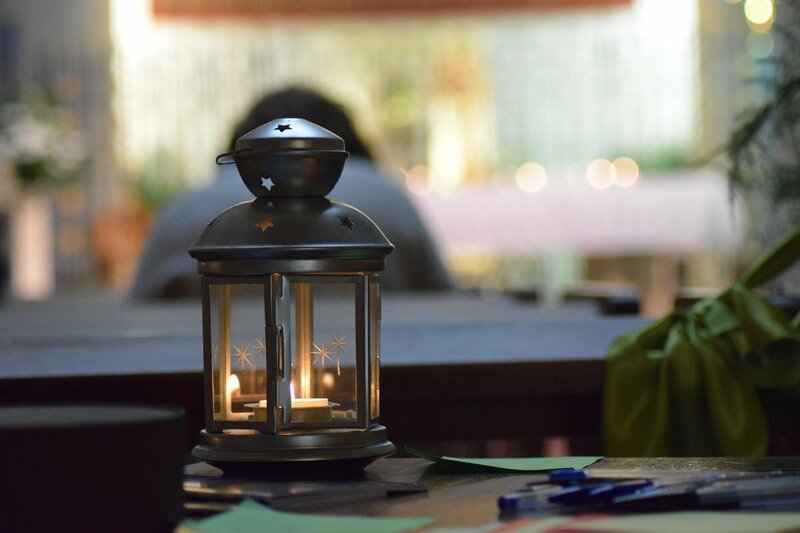 It was a gentle reflection on love, hope, dreams and memories. 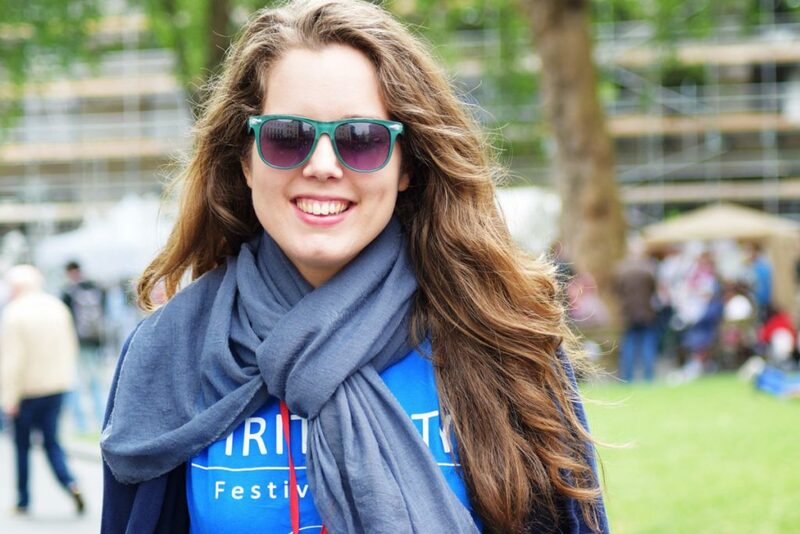 For concert-goer Margaret Riordan, the line “You hold seeds for the planting in the soil of our sorrow,” that spoke gently and powerfully to her. 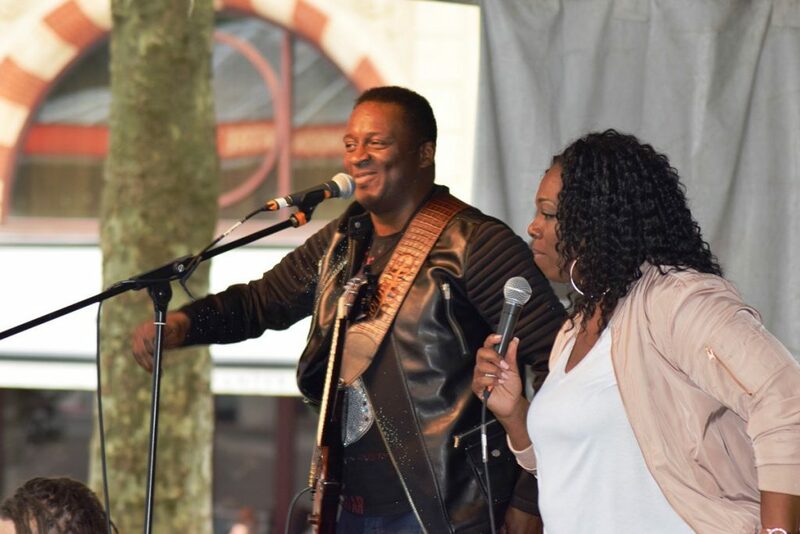 Another song “Into my Life” had lyrics by Lyons that spoke of thankfulness for precious friendships in our lives, and as Fr Chris wove the beautiful melody with his voice, I was grateful for all those who came to my mind,” she said.